So... I thrifted a pair of Christian Louboutins. 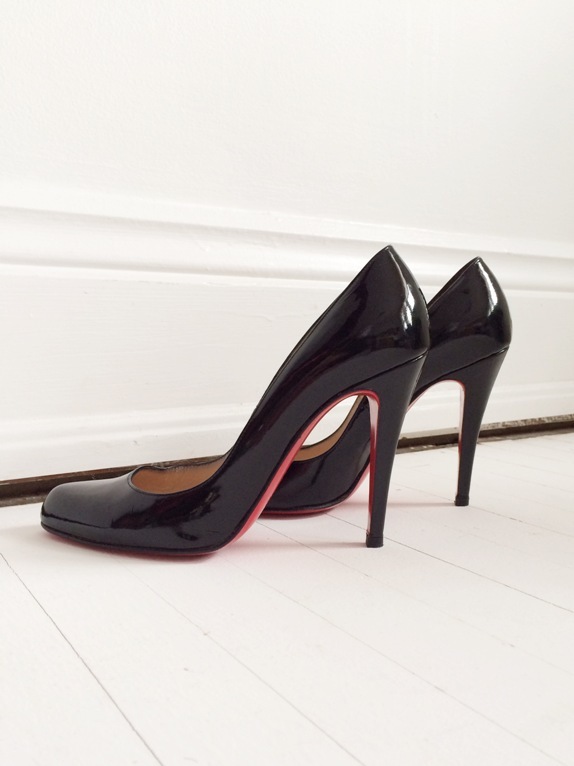 The Decollete to be exact, in patent leather, size 37.5 and in excellent condition. And then I stopped laughing because they looked really, really well made. I am not an expert a spotting counterfeit, I learn details from the Google machine but I do know that these kinds of designer items better be impeccably constructed. That while counterfeits can have red soles and stamped labels, they have a hard time getting the technical details of construction just right. 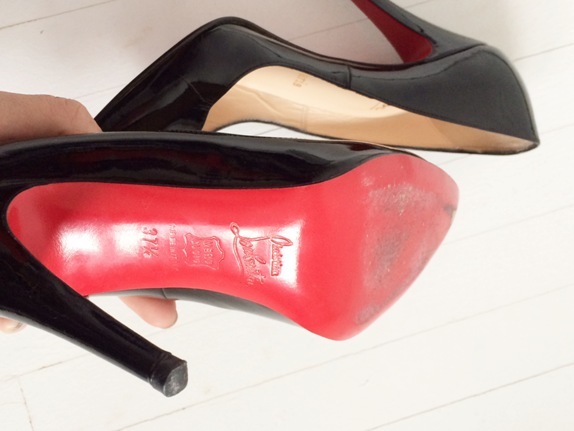 So being that they were well-made, I did a quick Google search and found that authenticLouboutins have leather soles, while many fakes have vinyl soles. From the wear on the soles, I could see that they were indeed leather. I took a chance and nestled (gently, with care...) them in my buggy. At this point, I was about 53% sure they were real but with 50% off day for Club Card members, I figured they were worth the $12.50 chance. 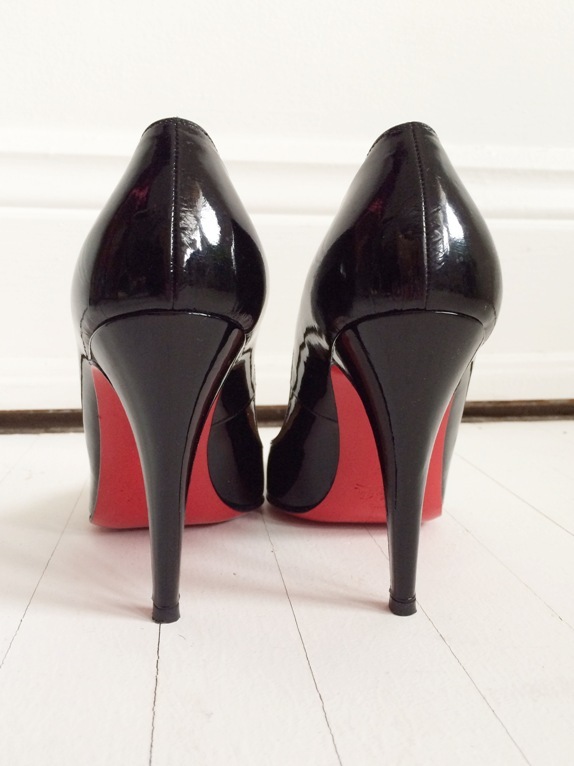 That night I fell into the Internet hole of researching Louboutins. The more I scrolled through pictures of reals vs. fakes and read up on how each shoe is individually hand crafted, the more certain I got that they were real. Sidenote: this collecting Louboutin shoes world is this whole sub-culture I had no idea about. Hundreds of pages of forums dedicated to these shoes and discussing every detail about them. Whoa. Mind-blown. I don't think these are my most interesting thrift find or even my most valuable but they are probably my best thrift story to date. 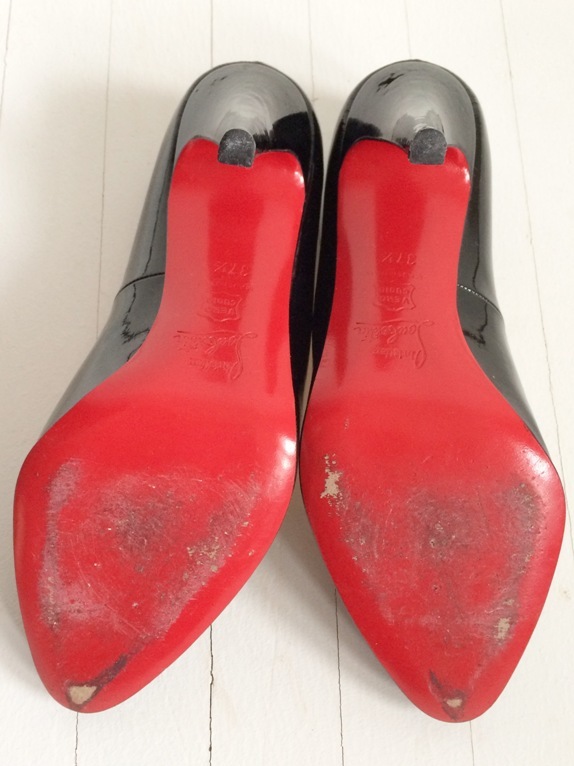 I expect vintage treasures or less-known designer pieces to slip by the sorting process at the thrift store, I just never expected flashy red soles to actually get donated and then priced very reasonably as well. I understand how some designer pieces get donated because they might just be too random to be worth the effort for an individual to resell them but used, very worn CL still get good money on Ebay. Who donated these? Can I peek in your closet? As much as I want to keep them as the ultimate thrift trophy, they don't even come close to fitting me, so I will be selling them. More pictures when you click through. Swoon! I SO WISH these were in my size!!! Hmmmm....curious, why not sell them at The Edit? Oh no, you did not!!! Jumping up and down in Brantford too! You go girl, score of the year! I'm in the UK. No chance you'd be willing to strike a deal to ship them over? If so, I'd be interested. Price dependent, of course! What a find though, you lucky lady! curse my tall-girl, tall-girl foot size problem! Congrats! I love a good score and thank goodness they are not your size! How conflicted you might have felt if they had been your size! Wow! What a score. Jealous. I'm dead at this steal! Can't believe you found them at VV. INSANE deal. I honestly can't believe someone donated them to VV. SO jealous -those have been on my wishlist for years. i wish i could find a thrift store version (so I dont have to pay full price someday)! Wow! Like Wow! Every so often I find something, something really really good, and I grab it, and always...without fail...I look around me furtively as I put it in my cart. It's really kind of funny; that feeling that someone might clue in and take it from me. So happy it was you that got the goods this time! I want to see these SO BADLY but my computer won't show me the pics. Oh well. 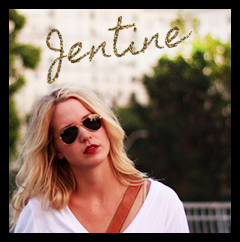 GREAT find and congrats! Amazing! And I bet they were half the price than the Club Couture shoes from Sirens that seem to dominate the shoe racks at the thrift. That is a great thrift story! I'm amazed at what people will donate - I once found a REAL Prada blouse (like you, I researched the hell out of it) at the local Victoria VV for $3.99. Great score! This is crazy! I'm so jealous lol! Brantford is my hometown. Good find! It's weird but I've been lucky to find all kinds of high end designer stuff at my local thrift stores, from Louboutin shoes, Gucci belt, Yves Saint Laurent skirt, and so on and so on. The most I've paid so far has been $10 per item. You just never know what folks are willing to let go! Thank you universe! Thrilling story, Yen! What a find!! What's your price? Ha! I'm a 38 but I'd squeeze into these! 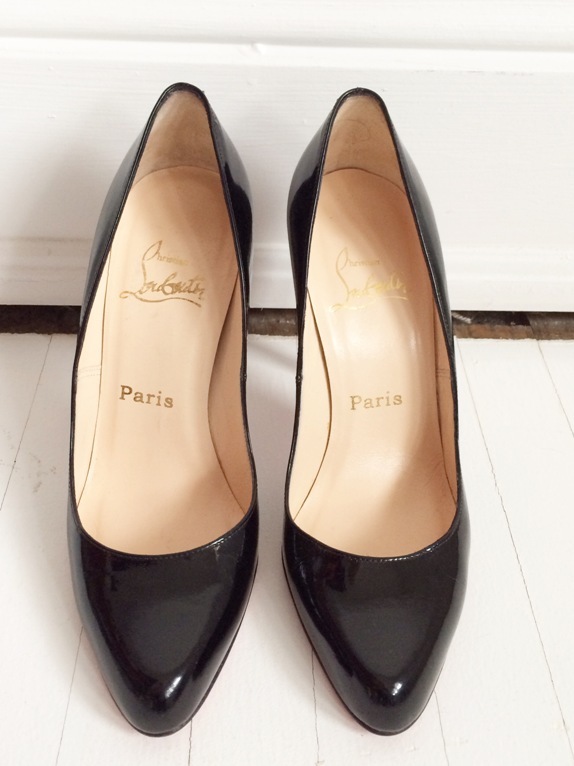 A couple of years ago I came across an authentic pair of CL espadrille ballet flats at a consignment store in New York. I tried those shoes on for a good hour, but they just didn't fit right. I thought about buying them anyway to keep as a souvenir, but I ended up walking away from them. I have regretted that decision every day since. You are too kind to have sold them, because if it was me, I would have kept them! That is the best thrift find ever - I just wonder why those people donated those beauties! Also, you have a lot of self-control, I don't think I would be able to sell them, even they didn't fit me; they are just so beautiful! Very nice! Awesome find!it is really amazing! i scored 2 authentic burberry shoes and one fendi bag at the thrift store here in nb. Wow, what great find! I just started thrift shopping and so far have been blown away by the quality and condition of some pieces. I'm excited to find more. Definitely a stellar find! Ive found my best high-end designer pieces in the Annecy, France thrift shop (all wonderful French labels, natch): Lanvin, Lancel, Thierry Mugler, and Weiss. Also: A Bally Kelly-style bag, and my latest and greatest: a vintage Mulberry satchel (for 10 euros! Crazy!). I am crying inside that I missed out on this!